Allow your users to submit properties through the front end of the website. Submitted properties go into a queue for moderation before instantly appearing on your website. The easy-to-complete form can be added to any page or lightbox on your website. It comes pre-styled and is broken into 5 steps to make it simple to fill in by your users. All information about the property can be entered, from the address to images and floorplans. For the tech-savvy, fields can be modified using WordPress filters. Properties submitted won’t appear on the website straight away and will require moderation. 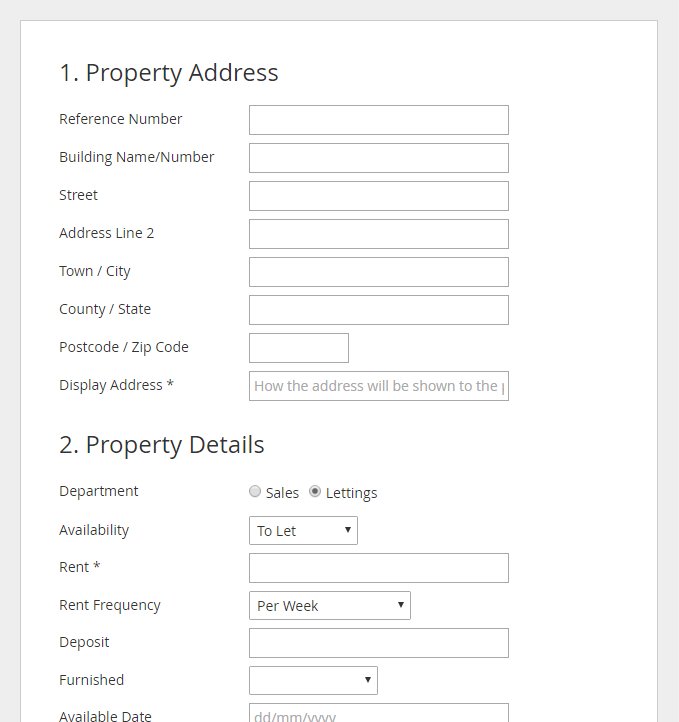 Simply check the details, click ‘Publish’ and the property will instantly appear on your website. It’s easy to display a list of properties to the user that they have submitted. 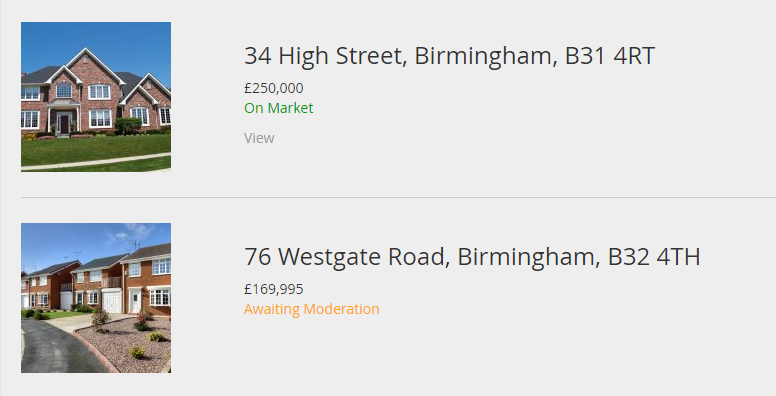 They can see details of the the property, if it’s approved yet, and click through to view the full property details. The add on comes with a set of customisable options. Choose whether users must be logged in before being able to submit properties, and more. – This add on does not handle any user login/registration functionality. If you require users to be logged in before submitting properties this functionality must be handled outside of Property Hive. – The add on has no payment integration. There is currently no way through the add on to charge people for listing properties. We might look at adding this feature in the future.